High school in the United States starts way too early. Given teenagers' sleep patterns, the ideal school start time could be as late as 11:30 a.m. — when many high school students have already finished half a school day and are eating lunch. Researchers from Harvard and Oxford wrote about this new finding in a recent article in the journal Learning, Media and Technology. 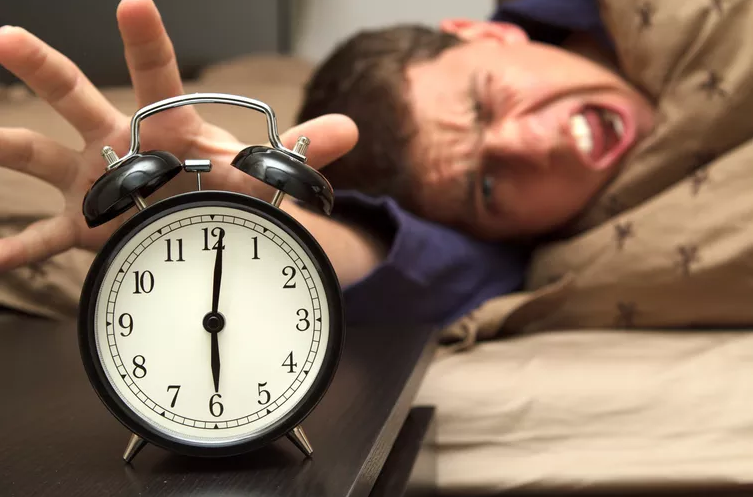 In the article, Paul Kelley argued that, given when kids and teenagers are biologically conditioned to wake up, 10-year-olds should start school at 8 a.m., 16-year-olds should start between 10 a.m. and 10:30 a.m., and 18-year-olds should start between 11 a.m. and 11:30 a.m. There's been lots of research done on sleep and performance in school — but this article argues that school should start even later than most proposals for a later start time call for. Teens aren't lazy — adults need to adjust. This isn't laziness — sleep patterns are a biological necessity. Reviewing evidence from studies around the world, the researchers argue that starting school later would help students learn more, perform better on tests, and even make teenagers less grumpy. When the Minneapolis Public Schools moved their start time from 7:15 a.m. to 8:40 a.m., students liked the change and reported that "attendance, achievement, behavior, and mood improved." Parents were positive, too: 92 percent said they liked the shift, and parents reported that their kids were easier to live with when they weren't getting up so early. At the US Air Force Academy, where students were randomly assigned to classes with earlier and later start times, students who started earlier performed worse all day long on those days. The researchers argue that this is partly cultural, and that getting up early is still seen as a virtue. That's wrong, they write: "A common belief is that adolescents are tired because they choose to stay up too late, or are difficult to wake in the morning because they are lazy. Educators tend to think that adolescents learn best in the morning and if they simply went to sleep earlier, it would improve their concentration… The truth is that adults need to be educated." 1. The underlined word “grumpy” in the third paragraph means ______. 2. From Paul Kelley’s research, people can conclude _____. 3. What did the parents think of getting up late? A They thought the students are losing a virtue. B They thought the students benefit from that. C They thought adults need to be educated. D They thought the adults become lazier.